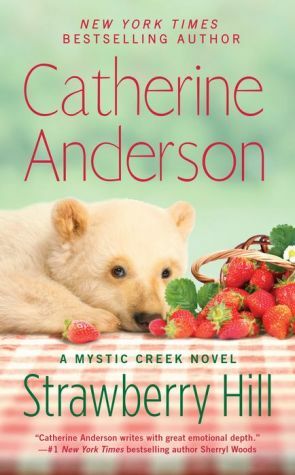 The New York Times bestselling author of SPRING FORWARD returns to Mystic Creek, Oregon, where an unlikely pair learn to open themselves up to love. Newcomer to the sheriff's department Erin De Laney knows next to nothing about wilderness patrols, but she's also never been one to back down from a challenge. So when a rude and stubborn cowboy takes her by surprise on her first day patrolling the mountain trails as a part-time ranger, she lets him have it. Wyatt Fitzgerald doesn't consider his deafness a disability and he doesn't want special consideration from anyone--least of all, a spoiled city girl like Erin. He prides himself on his ability to read lips and when she confronts him, Wyatt sees no reason to volunteer to her that he's deaf. But there's no escaping each other in the small Oregon town, especially once Erin seeks him out to make amends. Wyatt gave up on dating long ago, but the written correspondence he and Erin begin to share speak to him like nothing else ever has. Out of their tentative truce blossoms a chance for a once-in-a-lifetime love if he's willing to give her his heart and make her his.